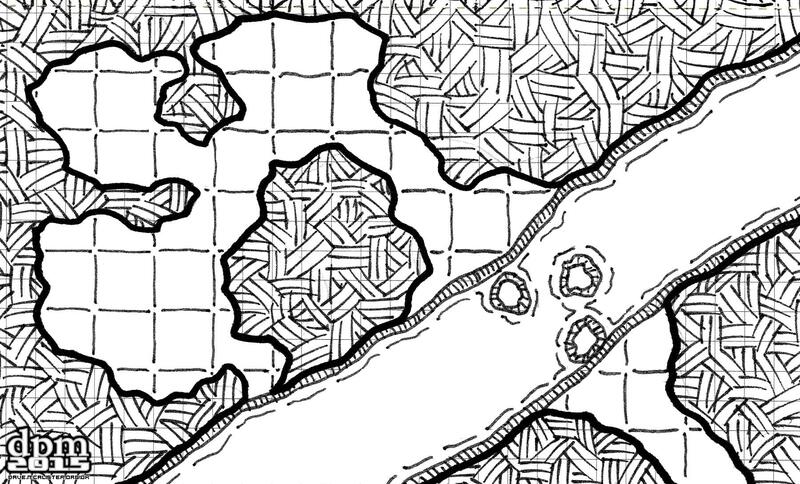 Today’s map brings back the underground river elements from one of the first maps. The river isn’t too wide (10-15 ft. at most) but there are stepping stone to help smaller people cross. On the other side there are three small chambers, perhaps living quarters for goblins, halflings or similar races. Also included is a “back door” leading directly to the river but, in an emergency, perfect to escape from any assailants.